NEW YORK --The NAACP Legal Defense Fund (LDF) has filed a motion seeking to intervene in a lawsuit on behalf of the Florida State Conference of the NAACP and Black voters to prevent the State of Florida from implementing discriminatory voting laws. In the lawsuit, Florida v. United States, Florida asks a federal court to approve, under Section 5 of the Voting Rights Act, voting measures that would significantly alter Florida's voting process. Five counties in Florida are covered by Section 5 of the Voting Rights Act. As a consequence, statewide voting changes inFlorida cannot be implemented until the federal government has reviewed them and determined that they will not have a discriminatory effect on minority voters. 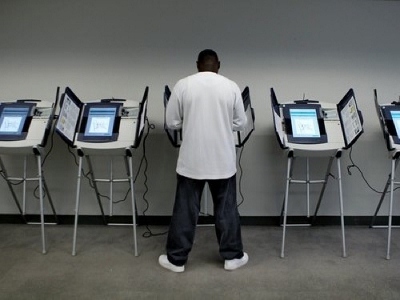 "Section 5 of the Voting Rights Act serves as our democracy's checkpoint. The changes to the elections laws proposed by theState of Florida demonstrate precisely why Section 5 is necessary," said John Payton, LDF President and Director-Counsel. "Implementation of these discriminatory changes to Florida's voting laws would be devastating for African-American and other minority voters in the state." Most dramatically, under the proposed law, Florida would cut the number of early voting days available in half. This proposal is particularly problematic because Blacks make up a large percentage of early voters. During the 2008 election, for example, Blacks comprised nearly 20% of early voters, despite being only approximately 12% of the electorate. Overall, more than half of Black voters in Florida voted during the early voting period in 2008. The proposed voting law also imposes severe restrictions on organizations that conduct voter registration drives and places new provisional ballot requirements on voters who move before Election Day. "Our clients have an important story to tell the court about the discriminatory impact that Florida's proposed changes would have on its minority voters," said Dale Ho, LDF Assistant Counsel. "Fortunately, Section 5 ensures that the story will not end with our clients being the victims of discrimination."